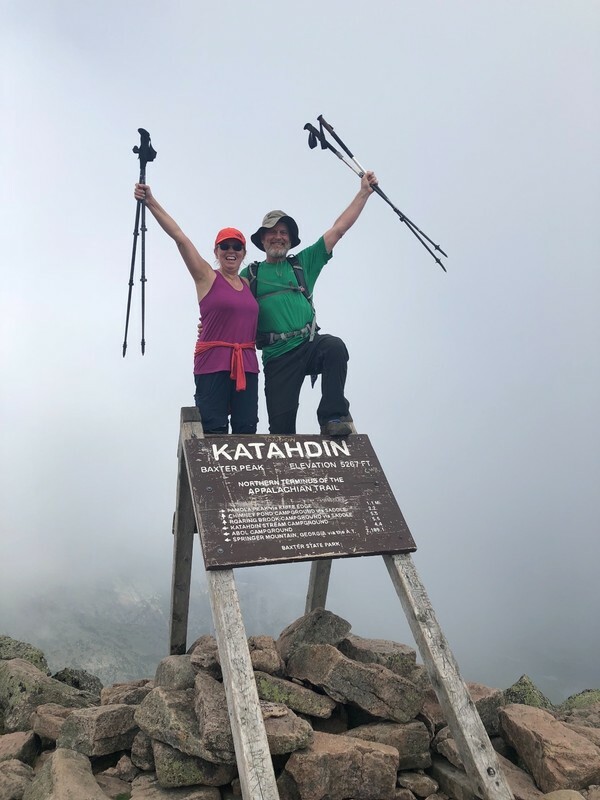 One Day 176 of his adventure (August 20), Next Step was joined by his wife, Which Way and they both hiked to the top of Mount Katahdin in Maine, the northern terminus of the Appalachian Trail. Coming down off the summit Next Step joined the class of 2018 as a Thru-hiker. I offer my applause and greatest congratulations. 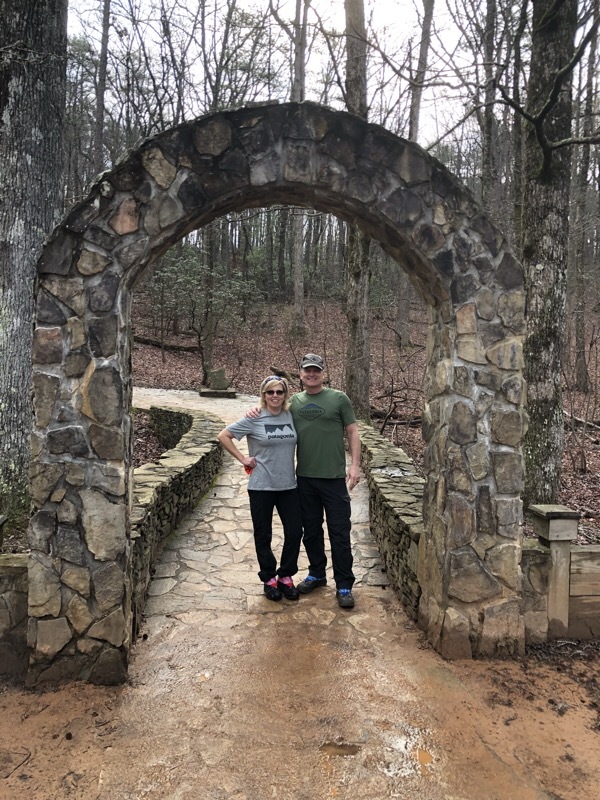 Darrell (Next Step) & Alicia (Which Way) Brimberry began their trek on February 24 from Springer Mountain, Georgia. Next Step had just retired from the military as an Army Colonel with 30 years of active duty service. 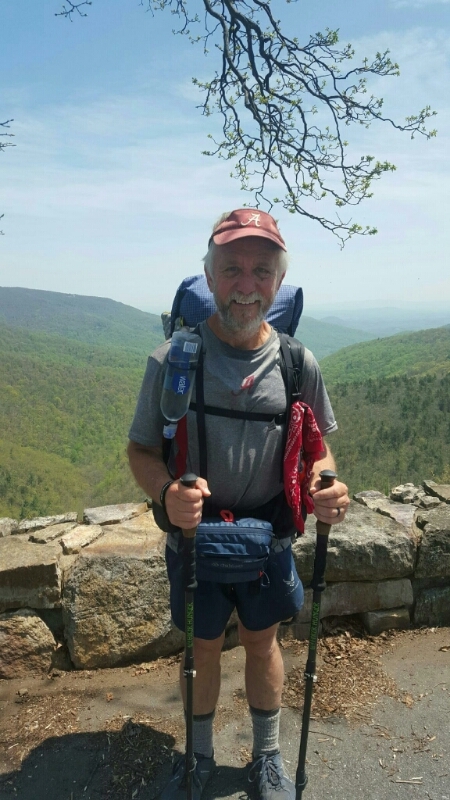 They began their hike right after retirement and had not relocated out of Washington, DC, so technically they hiked the trail as part of the homeless in the US. They hiked together for the first 1,000 miles. 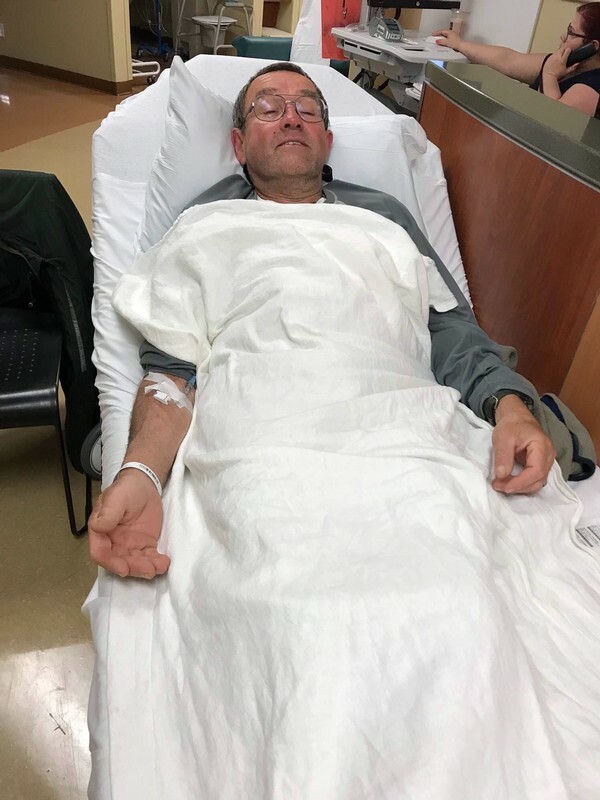 They were about 20 miles from Harpers Ferry, WV, the home of the Appalachian Trail Conservancy, when Alicia’s previous back injury flared up to the point of needing some medical attention. She got a ride to Harpers Ferry where she reunited with Next Step and the next day traveled to Charles Town, WV for some therapy. The therapy was not effective enough for her to continue the trek so she ended up making her way to her parent’s home in Kentucky while Next Step continued on without her. Next Step really increased his mileage as a solo hiker. It took Next Step and Which Way 95 days to hike the first 1,000 miles (an average of 10.52 miles per day). Next Step then walked the next 1,000 miles in 69 days (an average of 14.49 miles per day) and finished his last 190 miles in Maine in 12 days (Averaging 15.83 miles per day). He hiked the last 26 days without a true zero-day for rest. Next Step and Which Way are delightful people who made many friends along the path. They seemed to have an exciting time together and a supportive time apart wishing they could be together. 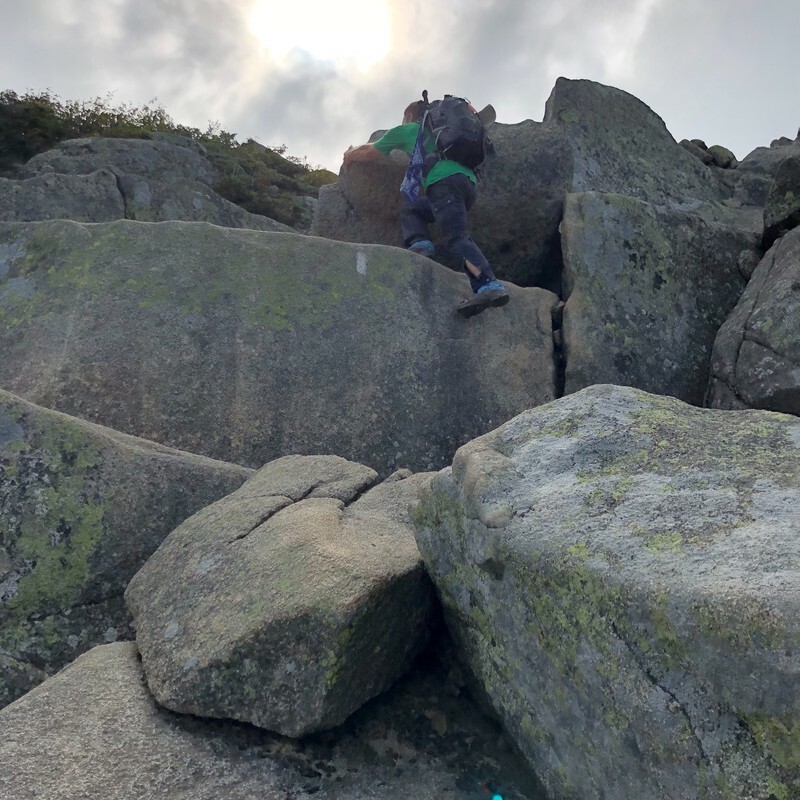 They were determined to summit Katahdin together and it was exciting to see the photos of them climbing the mountain and standing atop the big brown sign together. Hooray! Success! 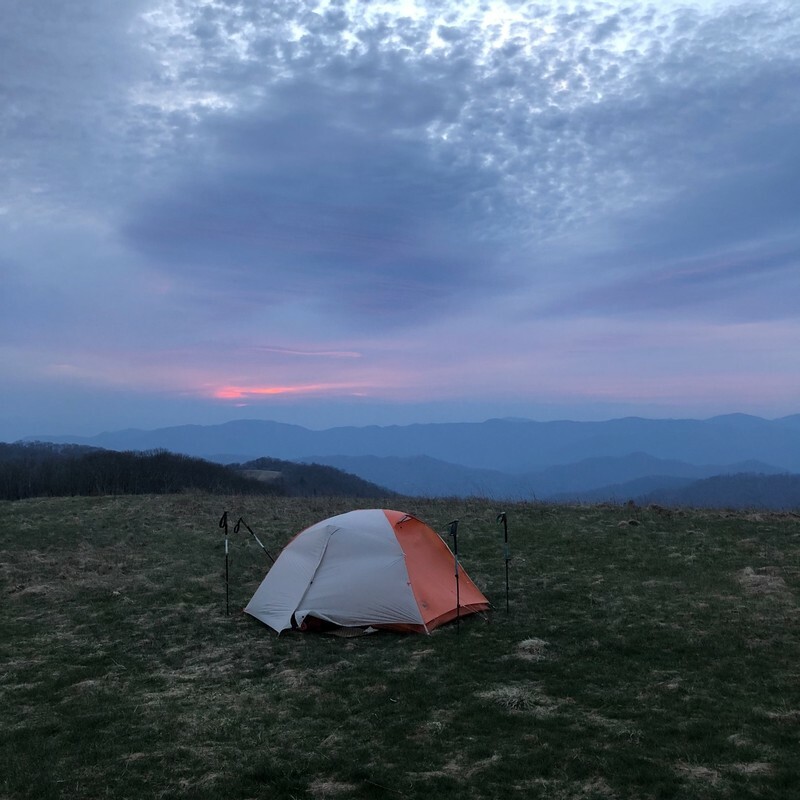 I have been following 14 adventurers on the Appalachian Trail. The only two things they have in common are they all started their thru-hike attempts during January or February and they are capturing their journeys online via trailjournals.com. Half of the original group have left the trail for various reason, while the other half are continuing their trek. A few are getting close to the finish line, while others have a pace that might make it difficult to complete the goal. With the average success rate of 25%, these early are still on track to better the average. Unfortunately, I am removing Hard Knocks from an active status to inactive. He has not posted in his journal for over a month and 30 days of silence is my maximum for inclusion on the trail roster. I will continue to monitor Hard Knocks journal and let you know if he reappears or updates his status. His last was on July 4th from Franconia Notch, New Hampshire. To my surprise, Bamadog has returned to the trail. He wrote in his journal on Jul 1st, Today is a bittersweet day but a good day. 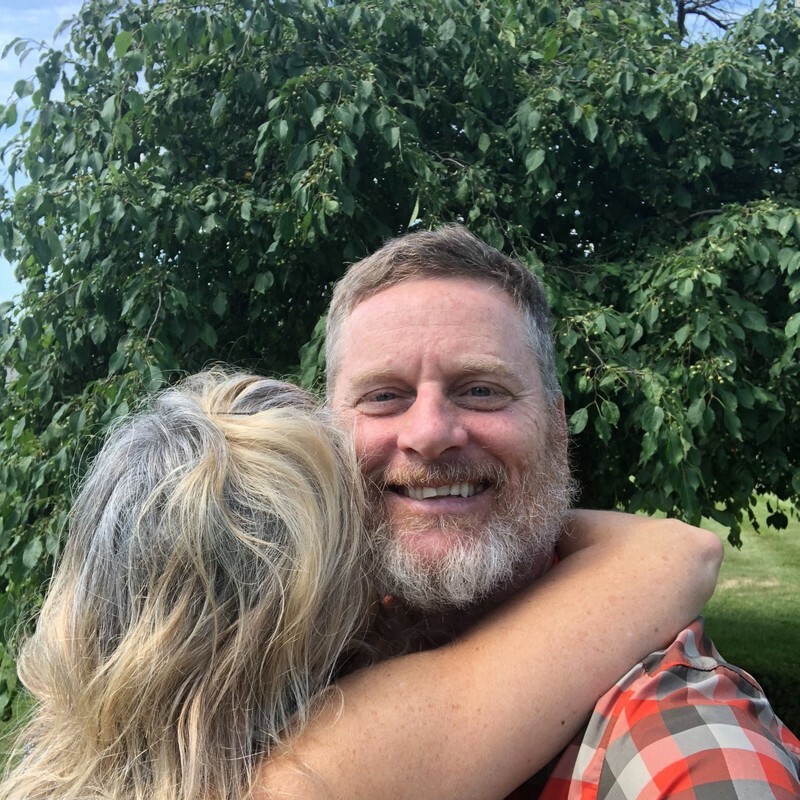 Psalm 118:24.As I hiked the Lord was speaking to my heart letting me know my wife needs me a lot more than the trail does. I did a very tough section over the Kinsman’s today 17 tough miles. Both of my knees are hurting letting me know I don’t need to be where I am alone scaling wet rock walls and cliffs and bouldering from daylight until dark. It is time to go home to my sweetheart. 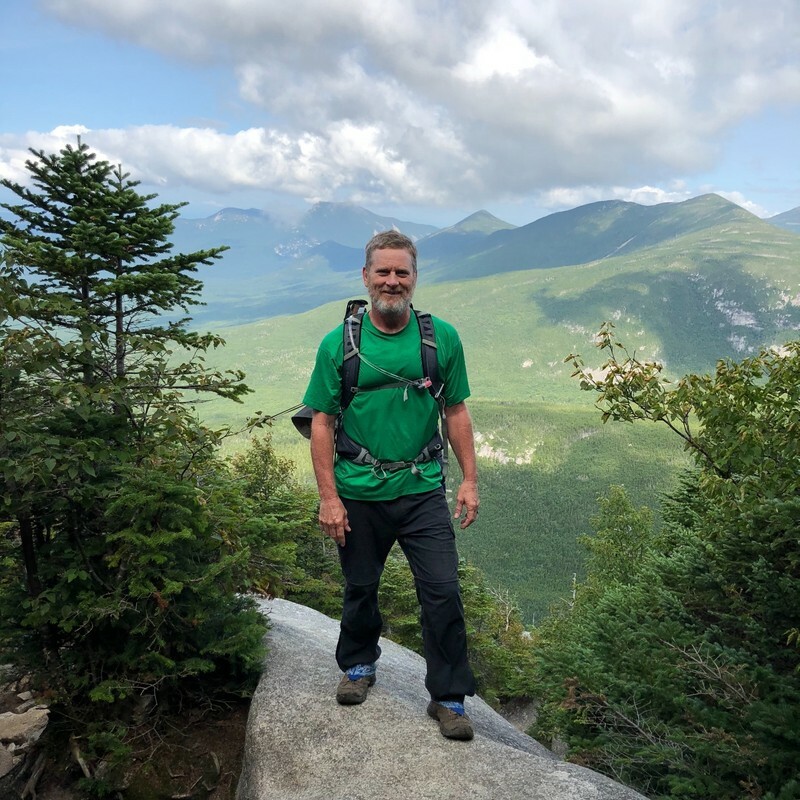 I double checked his journal last week to discover that he had returned to the AT on July 22 where he left off (Franconia Notch) and as of August 3, he has hiked 116 miles in 13 days over the White Mountains and into the state of Maine. On the 3rd of August Bamadog was in Andover, Maine with approximately 250 miles to Mount Katahdin. 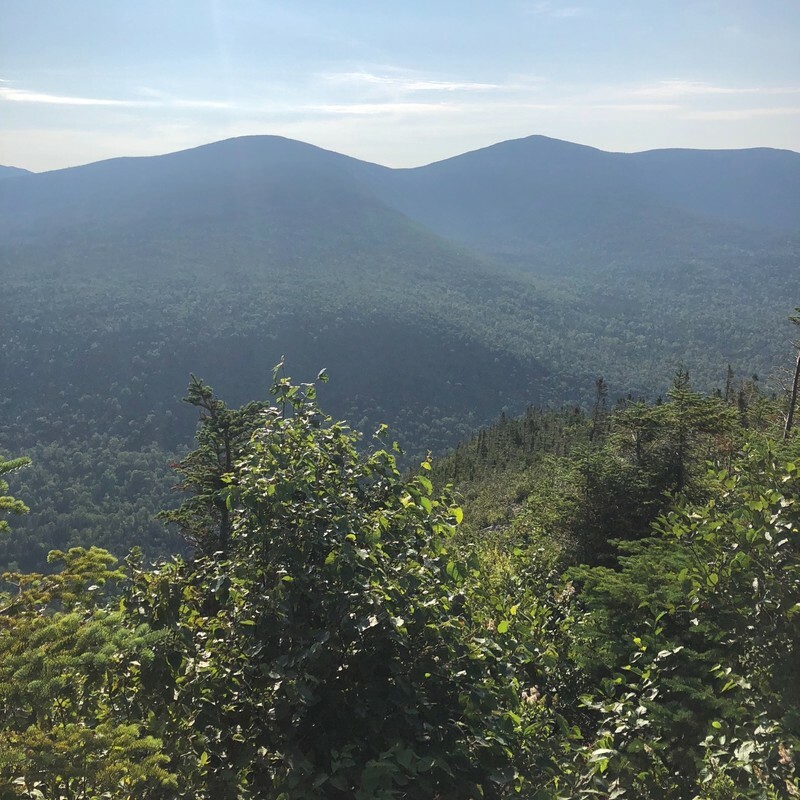 Sour Kraut’s last photo was posted on July 21 from Mount Moosilauke, NH around 1,792 onto his hike with approximately 393 to go. Next Step continues to make excellent progress on the trail. 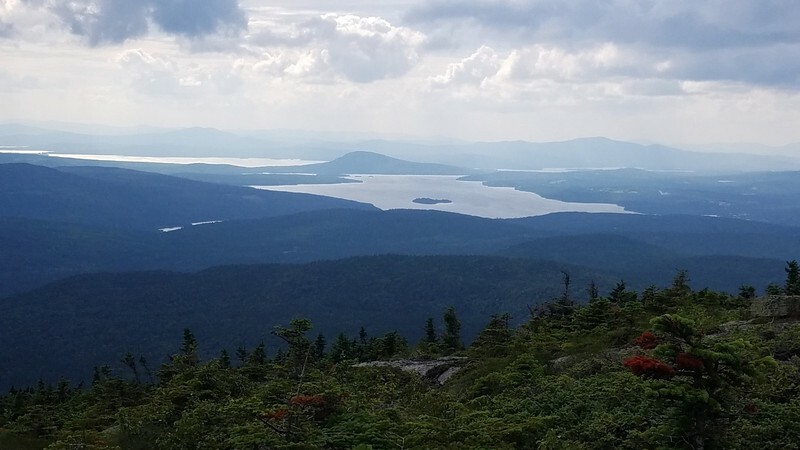 He entered the last state, the state of Maine, on July 29th and his last post (August 5th) shared that he was camped at Crocker Cirque Campsite, just shy of the 2,000-mile marker. Racewalker and I stayed at this camp along a beautiful stream in Maine on out 2014 thru-hike. Next Step has about 195 miles (including the 100 miles wilderness) to complete his adventure. He appears to be in a great position to finish strong and add his name to the class of 2018. 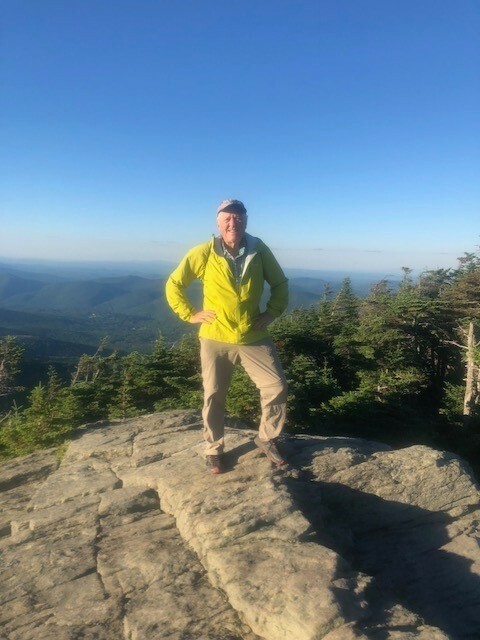 He has the gorgeous Bigelow Mountains to enjoy, the canoe ride across the Kennebec River into Caratunk, ME, Moxie Bald Mountain, and the final town of Bronson, Maine, before he reaches the 100-Mile Wilderness. 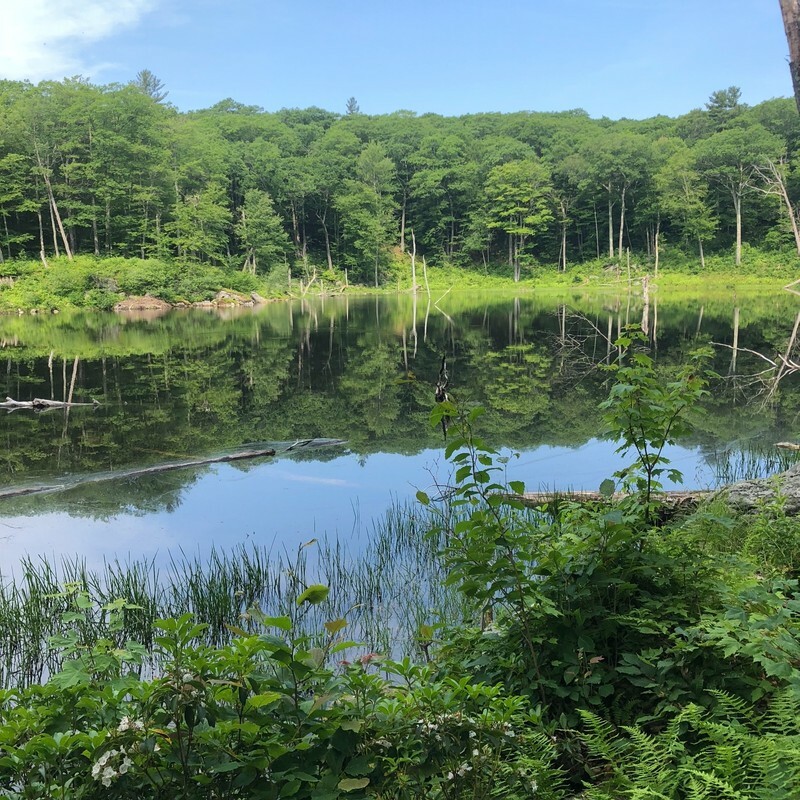 RTK ‘s last weekly post was published on July 24th and Bruce Matson, aka RTK, had hiked into West Hartford, Vermont, on VT 14. He has completed about 1,735 with approximately 455 miles to go. West Hartford is 30 miles south of the Vermont/New Hampshire border. RKT’s time frame looks spot on for a successful climb of Katahdin before the weather become a factor. Pigweed is making a flip-flop attempt for his thru-hike. 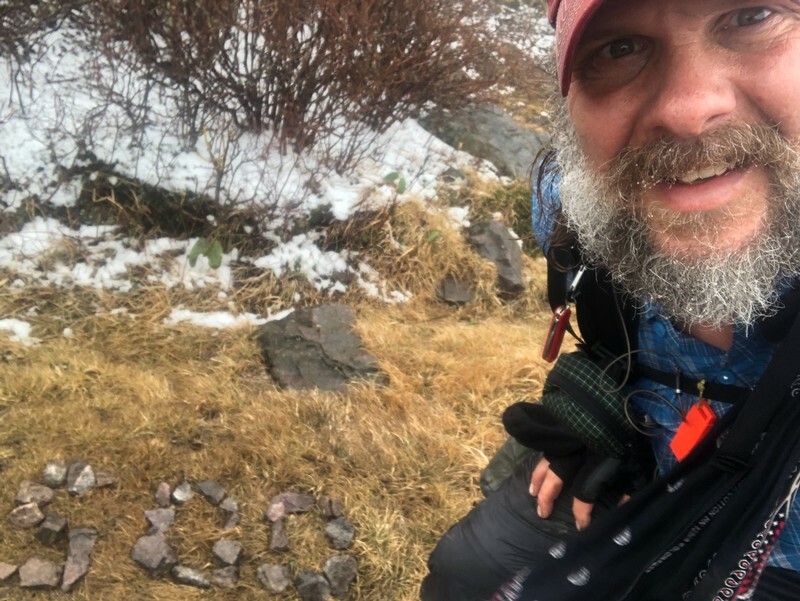 He hiked 800 miles to Buena Vista, Virginia, took several days off trail, then travel to Maine and has continued his hike southbound (SOBO). 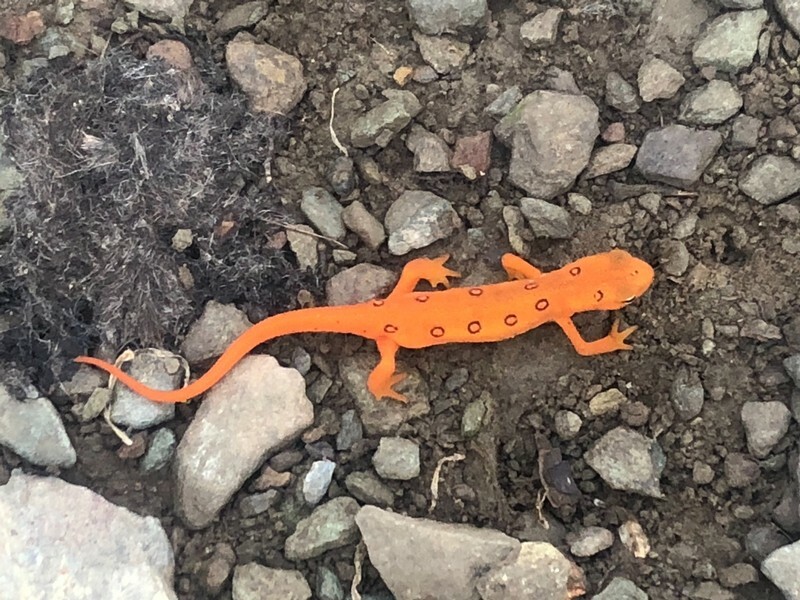 His last post (August 3) found him in Rangeley, Maine about 221 miles south of Katahdin. 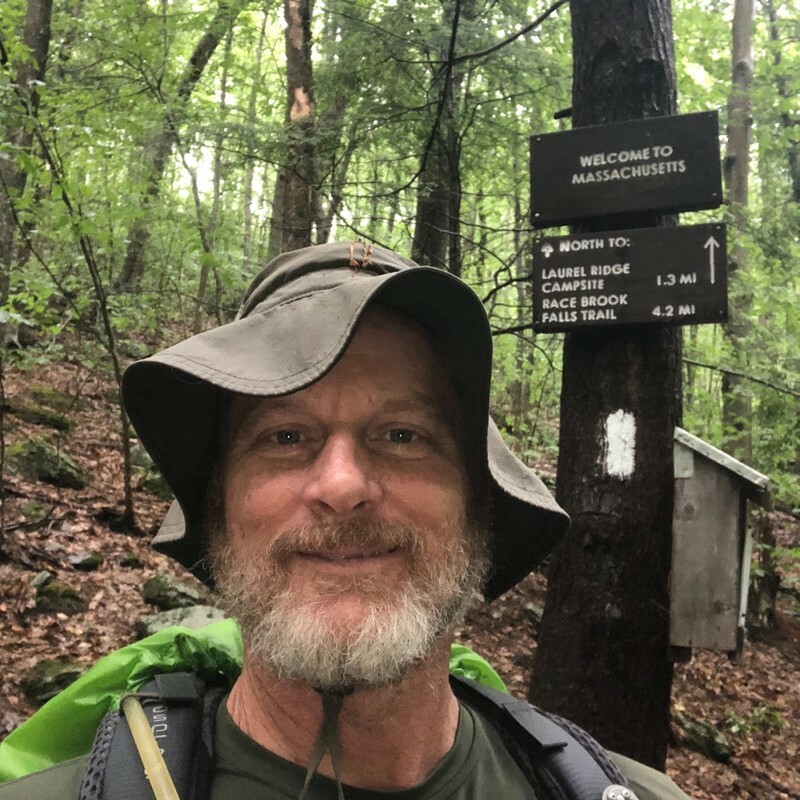 Combined with his 802 miles from Springer Mountain Georgia, Pigweed has hiked 1025 miles leaving another 1165 miles to complete the hike. Fortunately, Pigweed does not have the major winter snows to face in the weeks ahead, but his hike might stretch into an eight-month trip. I hope that Pigweed endures through southern Maine and New Hampshire. If he succeeds in traversing these miles, he has an excellent chance of completing his journey. 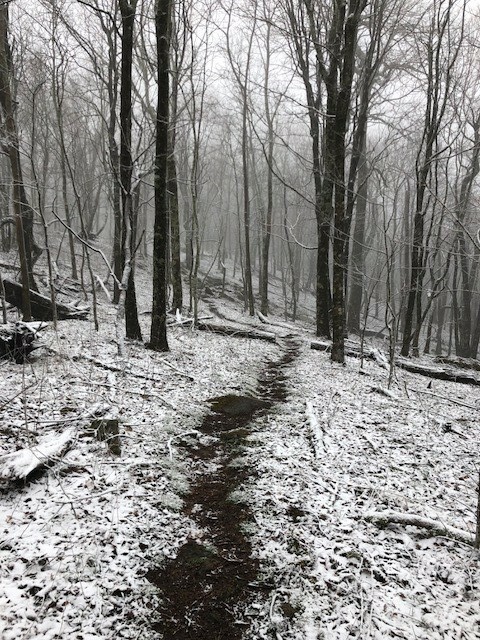 Four of my seven thru-hikers of the Appalachian Trail have been silent during the last few days. As you may know, I am following seven online journals of folks that began their AT adventures in either January or February. Let me give you a quick update on each hiker. 1). Hard Knocks (last posted in his journal on May 25 from High Point Shelter about 30 miles from the NJ/NY border). 2). Sour Kraut (his last photo was at the Mason/Dixon line on May 21). 3). RTK (who posts a week behind his location has been silent since 5/23 when he posted from Bear’s Den Hostel in northern Virginia). 4). Pigweed (posted on May 30 from Pearisburg, VA). Bamadog, Chip Tillson, and WhichWay/Next Step have faithfully journaled and their last posts were 6/4/2018. Bamadog has been averaging 14.23 miles over the past six days and has traveled almost 100 miles – from Mashipacong Shelter (three-quarters of the way through New Jersey) to a shelter about 25 miles from the New York/Connecticut border. 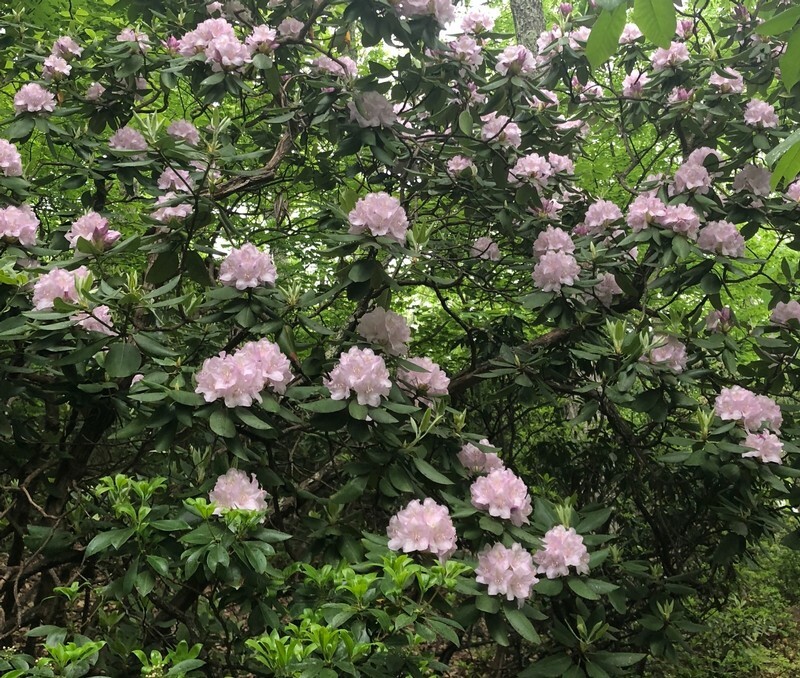 On May 30 he hiked by High Point, NJ on a beautiful, cool day. He logged 19.5 miles that day and enjoyed a beautiful sunset despite the forecast of a raining night. Bamadog awakened to a cloudy May 31 with temperatures in the low 70’s. 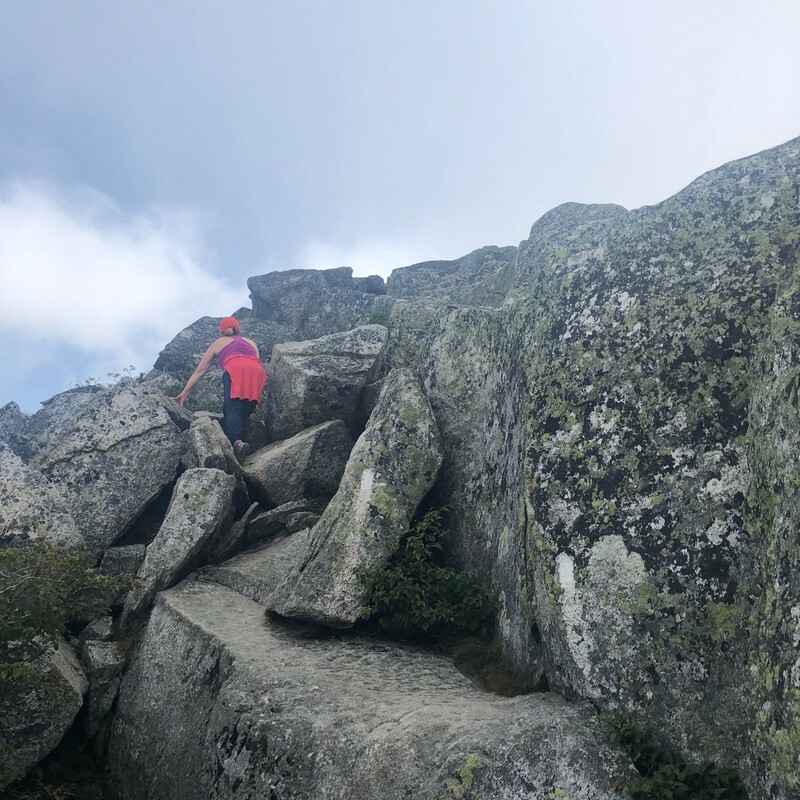 Then, he hit the mosquitos – there were awful as he crossed into New York and faced the challenging climbs of the Prospect Rock area. June 1 proved to be a short day (9 miles) as he stopped at Greenwood Lake for breakfast and a short, 3-day resupply of food. Bamadog did not make an entry on June 2, but on June 3 he recorded his hike through the Bear Mountain Recreation Area (including the zoo) and across the Hudson River near Fort Montgomery, New York. It rained on the morning of June 4 delaying his start till 8:30 am. 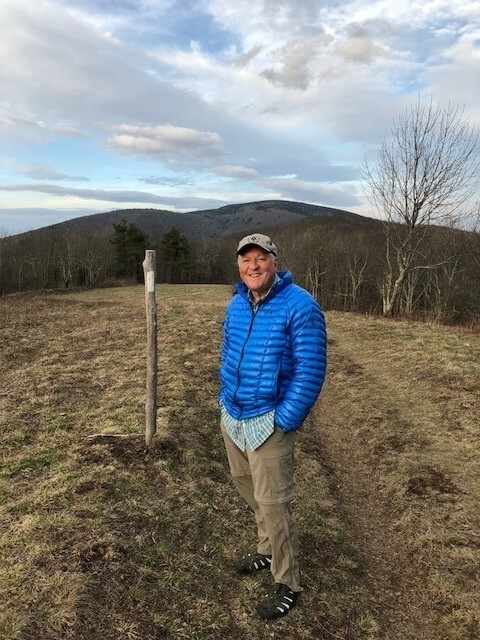 It was chilly as he hit the trail and he began his day in a long sleeve shirt, but within an hour of hiking, Bamadog was down to his short sleeves looking forward to finishing up the state of New York by Thursday. Chip Tillson (he does not post photos! 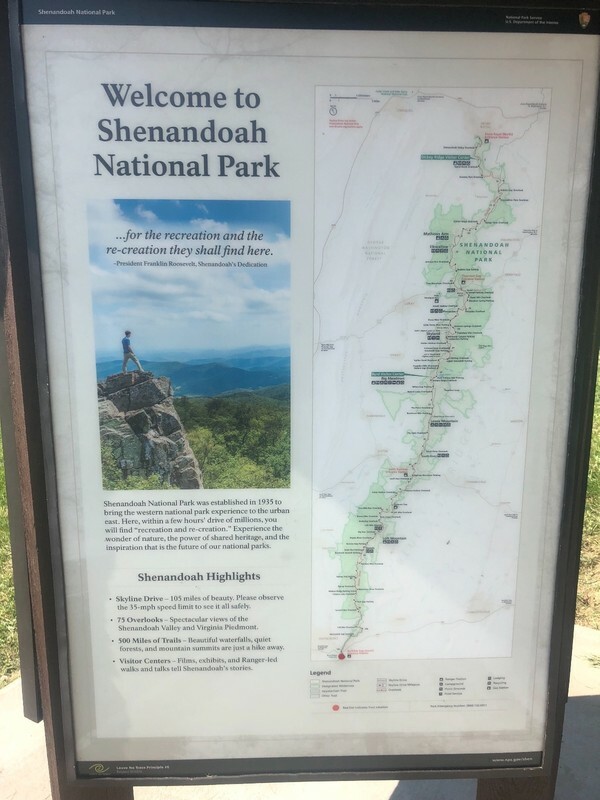 ), for the last six days, has been hiking through the Shenandoah National Park in Virginia. He averaged 10.7 miles per day covering just over 61.5 miles. 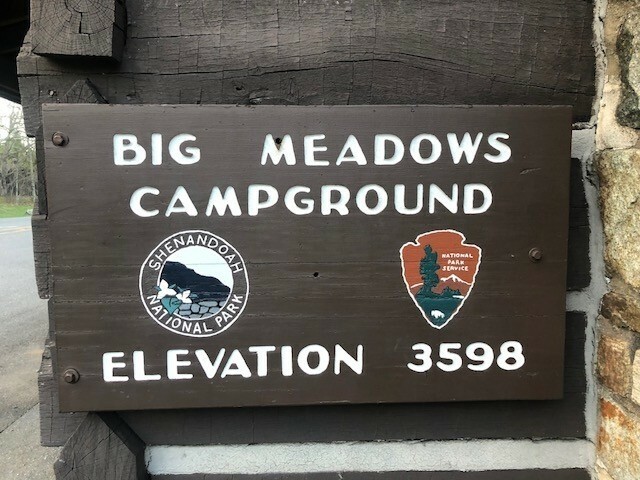 May 30 was a short hiking day logging in 6.2 miles and finding shelter at Loft Mountain Campground just off the Skyline Drive. He took care of some laundry needs and picked up some resupply at the camp store. A downpour of rain overnight left the trail like a river on May 31. He wrote that the path “went from running water to muddy quagmire” and yet he was able to hike his longest day of the week (16.2 miles). He ran into his first bear on the trail and caught eye on his second running away from him later the same day. 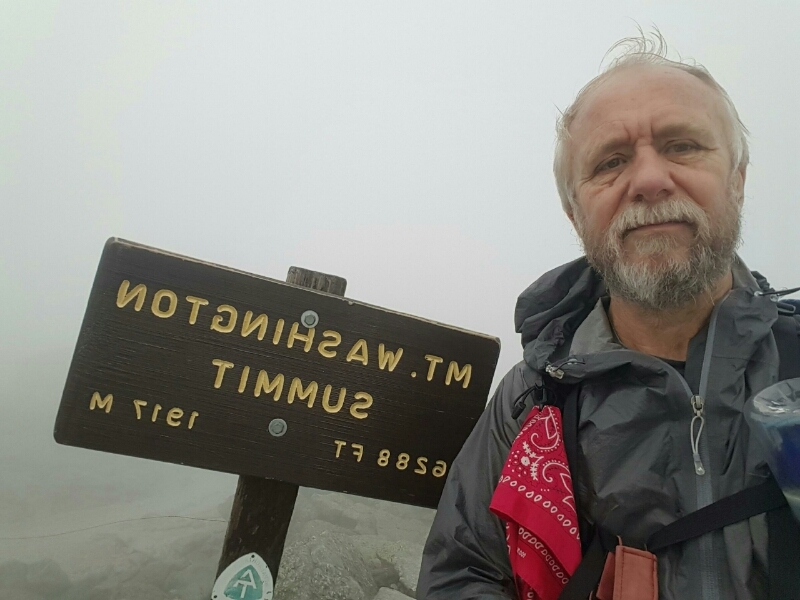 June 1 brought a little discouragement as he discovered about an hour into his journey that he was hiking the wrong way. 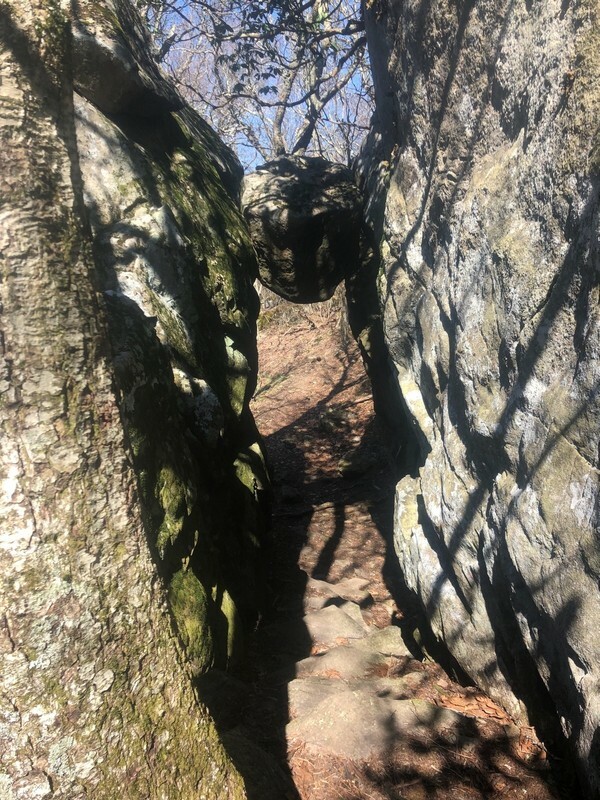 He met a Ridge Runner along the path who encouraged him with words of assurance that all good hikers make similar mistakes. He spent the night in another “official” campground: Lewis Mountain Campground. 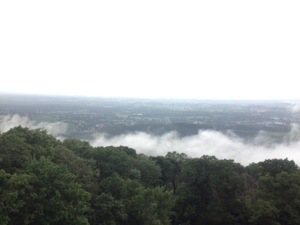 More rain greeted Chip on June 2 bringing slippery mud and prohibiting a clear view of the Shenandoah Valley. More hard rain continued on June 3, and more discouragement occurred during the night. Critters chewed a hole in his food bag and ate some of his instant oatmeal. By 4:00 pm, the rain let up. 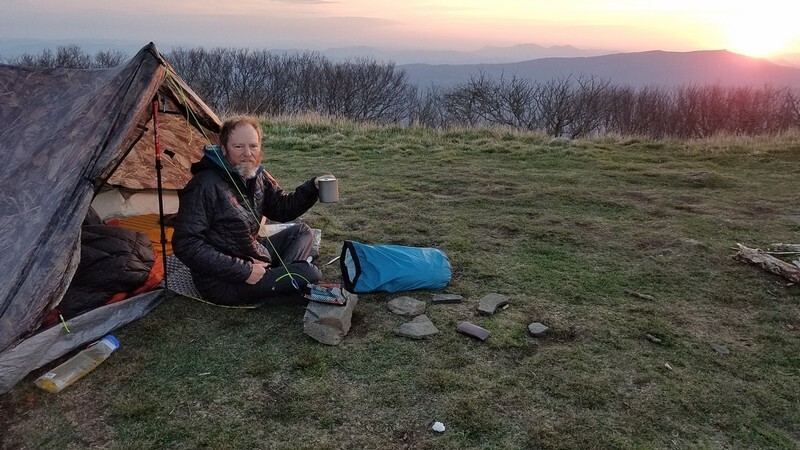 Chip paused for a hot supper and then continued for two additional miles before making camp four miles south of Luray, Virginia. Chip spent the morning of June 4 getting dried out. He stayed at camp with his gear hanging from a clothesline. It was early afternoon before he began to hike. He observed another black bear along the trail before he reached his destination: Pass Mountain Hut. 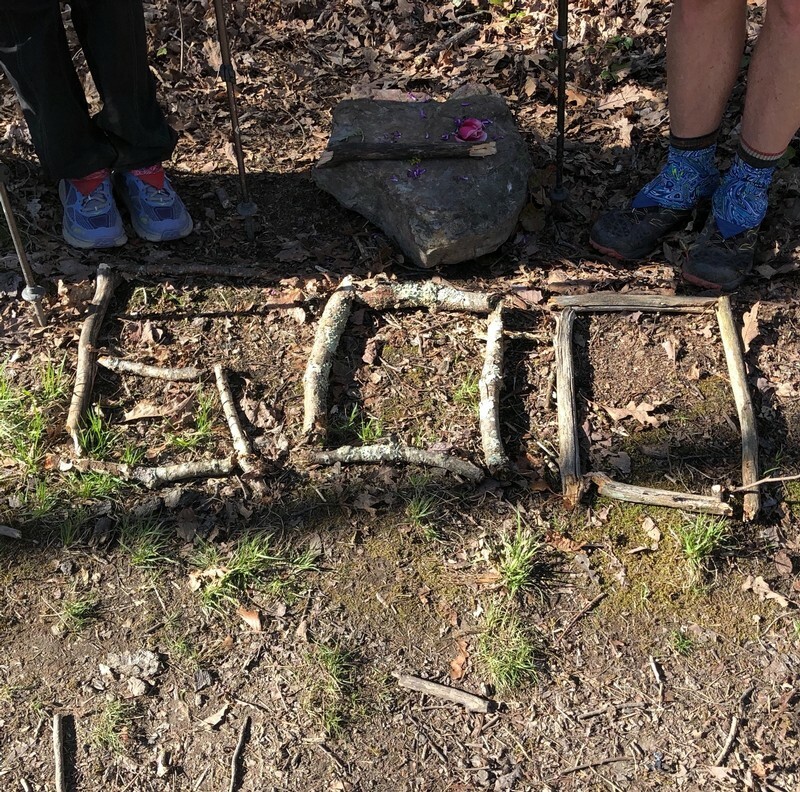 Which Way and Next Step have hit a major hurdle in their thru-hike. Which Way (Alicia) became very uncomfortable with an older back injury that was raising its ugly head. 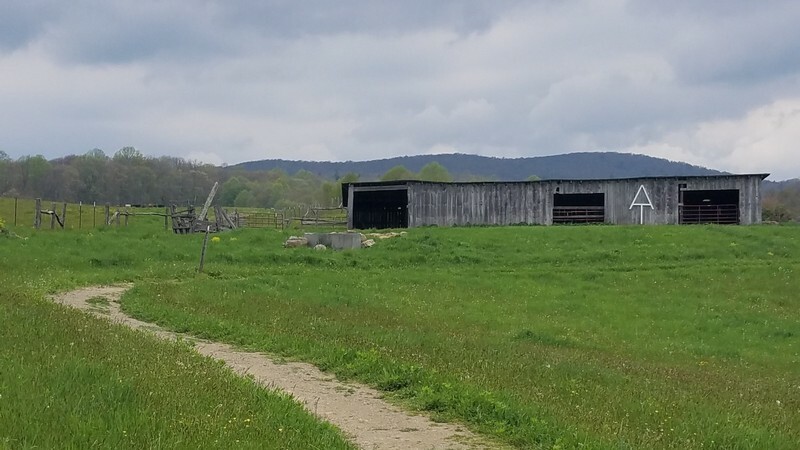 On May 30th she knew she needed to get the back checked out and so she was able to arrange a ride into an Urgent Care in Charles Town, WV, about 7 miles from Harpers Ferry. Next Step (Darrell) continued to hike. 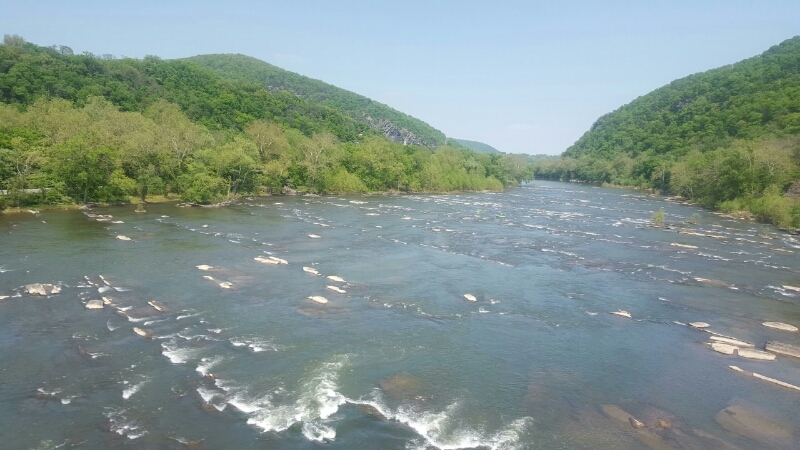 He logged 19.6 miles into Harpers Ferry and met Alicia at the Appalachian Trail Conservancy. Which Way was told that she needed rest for the next 5-7 days, so they revised their hiking plans. Next Step would continue to hike north and Which Way would drive a rental car enabling them to meet up each day. 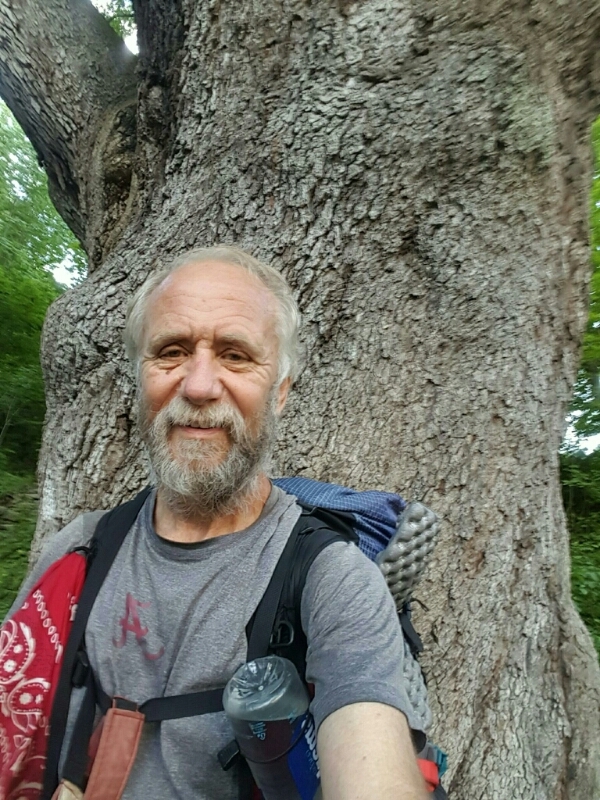 Darrell logged 20 miles on May 31 ending his trek in Washington Monument State Park, Maryland. 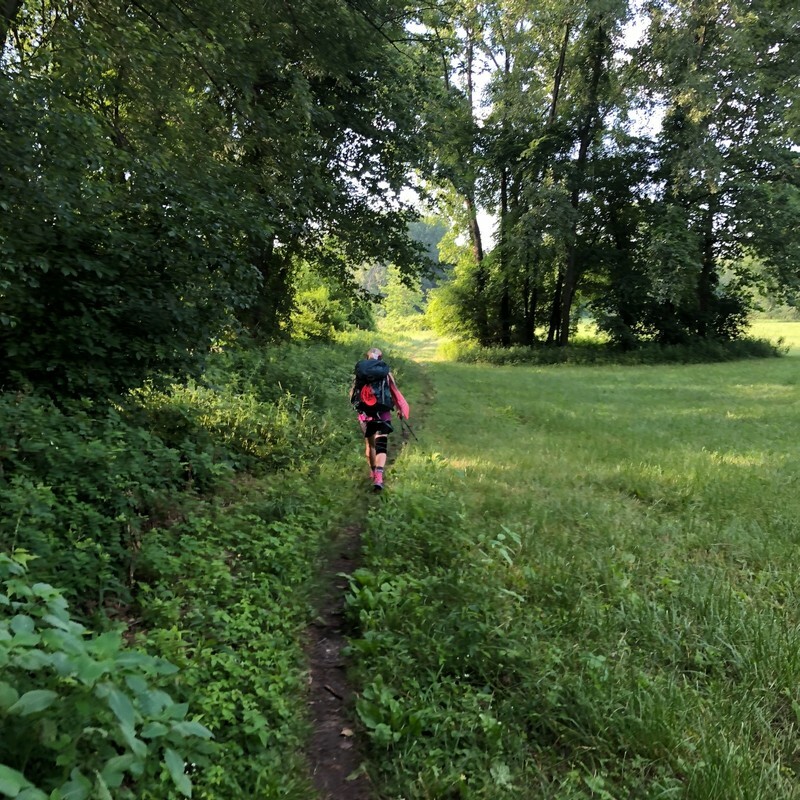 On June 1 he generated 21.5 miles with a final destination at Pen Mar County Park on the Maryland/Pennsylvania border. 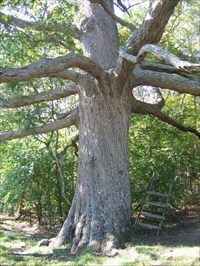 Another long hike (18.5 miles) on June 2 brought Next Step to Caledonia State Park in PA. Which Way and Next Step then drove 30 min to Chambersburg, PA, where they stayed with good friends from their time in the military. 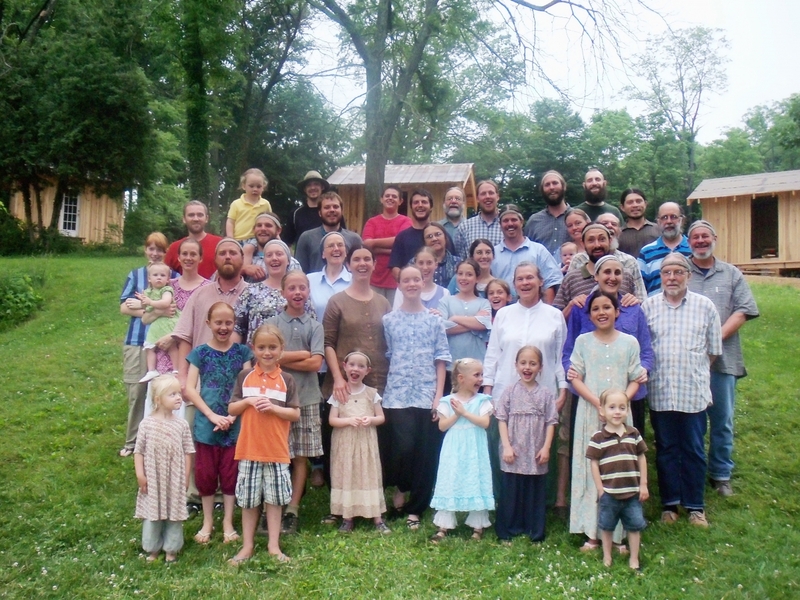 They enjoyed a zero-day in Chambersburg on June 3 before Next Step continued northbound on the AT. 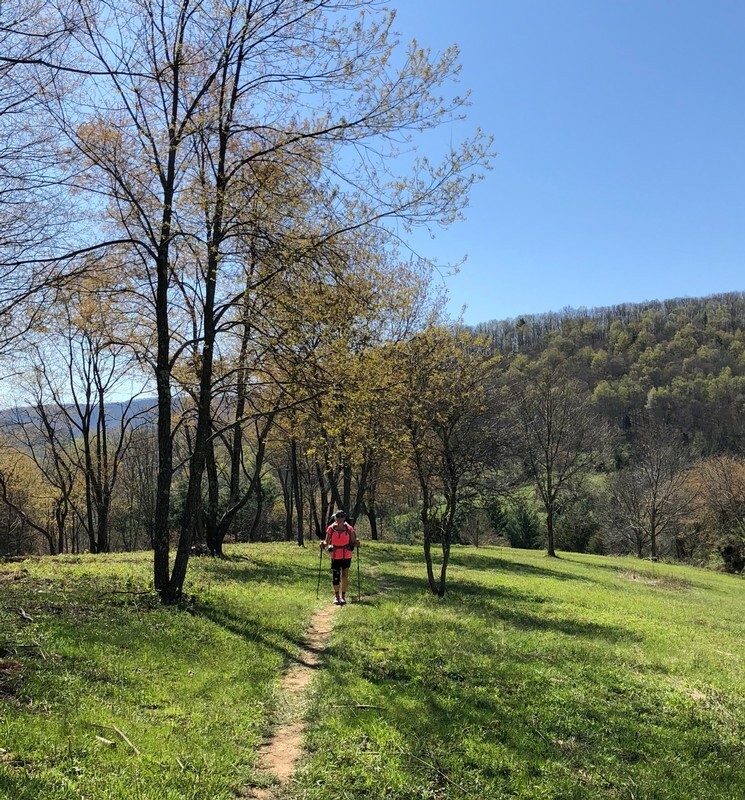 Having undergone some physical therapy on her back in Charles Town, Which Way received news from the doctors that she would need to stay away from hiking for four weeks. This sad news was devastating to both of them, but they have decided that Next Step will continue and Which Way will go home to recover. So, Next Step hiked 20 miles on June 4 and met Which Way at the halfway point of the AT at Pine Grove Furnace State Park. Alicia is on her way home and Darrell continues without her. 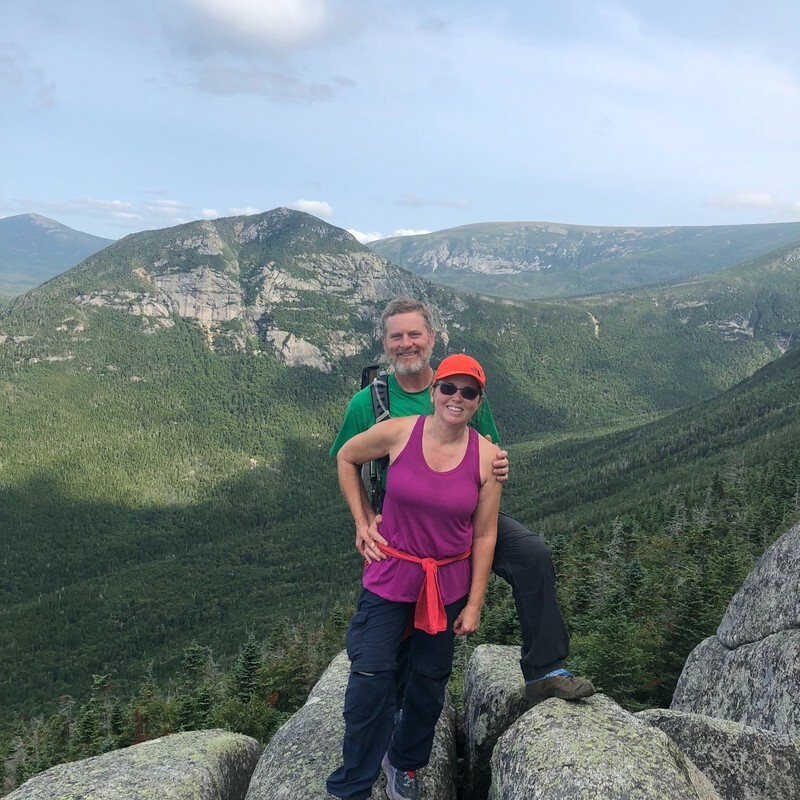 She still hopes to join him in a month and complete the hike together to Katahdin. 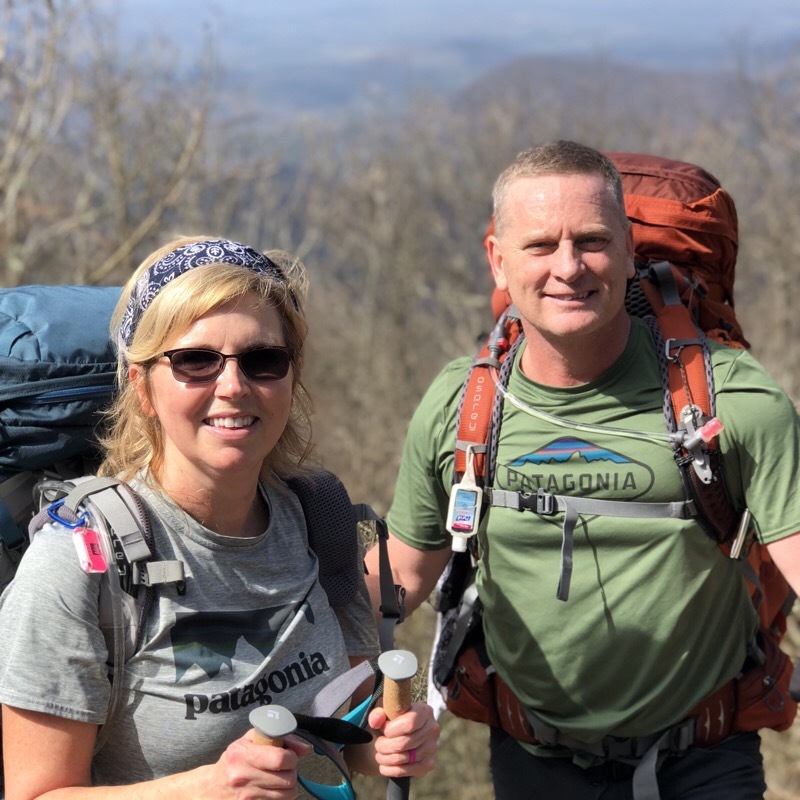 Darrell (Next Step) & Alicia (Which Way) Brimberry began their thru-hike on February 24 from Springer Mountain, Georgia. Next Step enjoyed a 36-year career in the US Army and retired at 55 years-old as a Colonel. They have been living in the nation’s capital until his retirement. 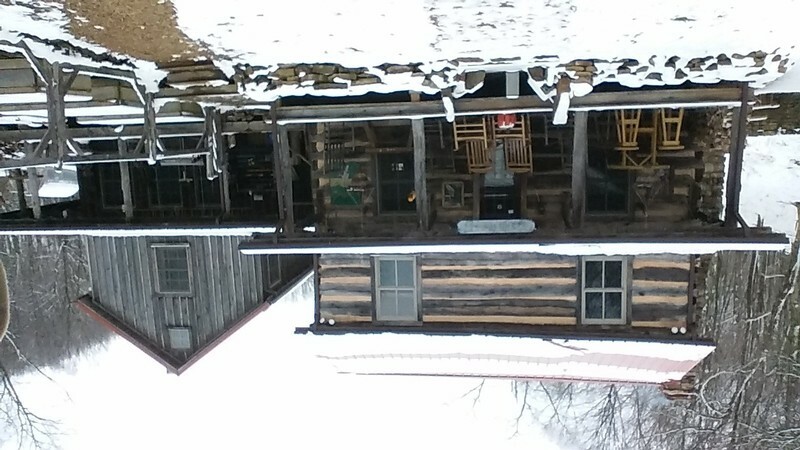 As they take the next few months to hike the trail their “stuff” is being housed in Which Way’s parent’s home in Kentucky. 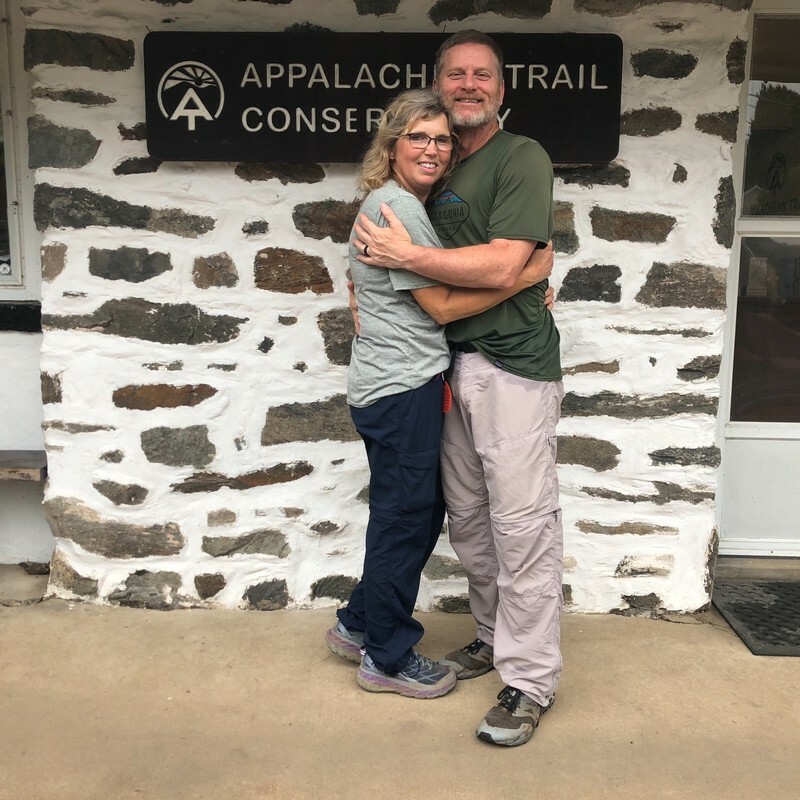 Their first day on the trail brought them to Hawk Mountain Shelter (8.1 miles north of Springer Mountain). The day began with a small entourage (nine people) driving from Atlanta to Amicalola Falls State Park. Which Way and Next Step signed in at the Visitor’s Center and registered as hiker number 294 and 295. They also weighed their backpacks at the center and loaded with four days of food and two liters of water, Which Way’s pack weighed in at 28 pounds and Next Step totaled 35 pounds. 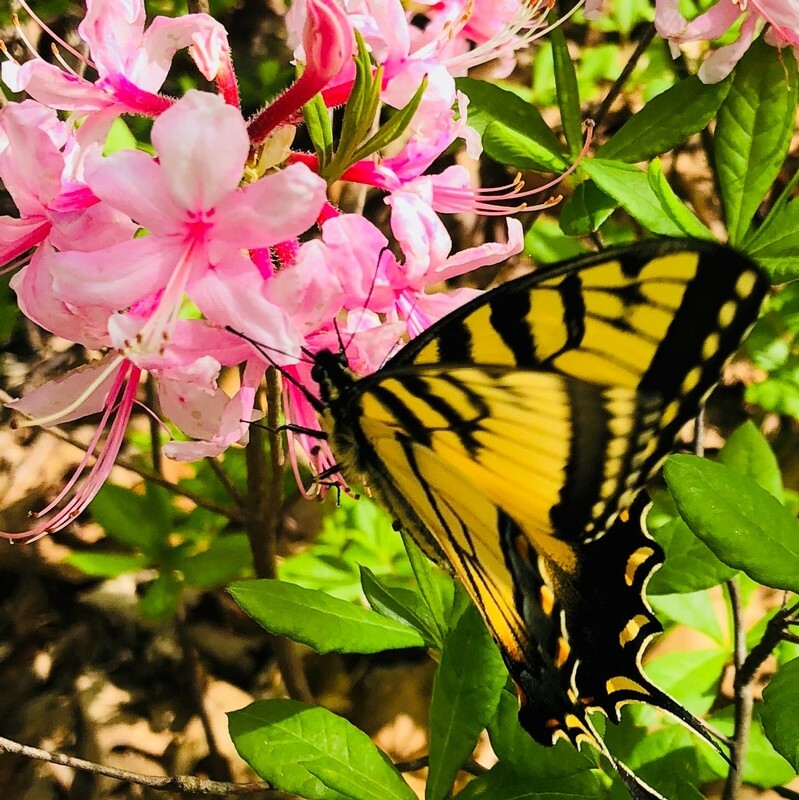 After taking a few pictures at Amicalola, all nine of them piled back into their two vehicles and made the 30-mile, 60-minute drive up the gravel, dirt, and mud service road to a parking lot one mile from Springer Mountain. All nine of the group hiked to the summit of Springer, snapped some historic photos, and walked back to the parking lot. Finally, at 12:15 pm the actual hike began. They hiked most of the afternoon on comfortable terrain through some old growth forest and along several beautiful mountain streams. The warm temperatures brought out many day hikers. 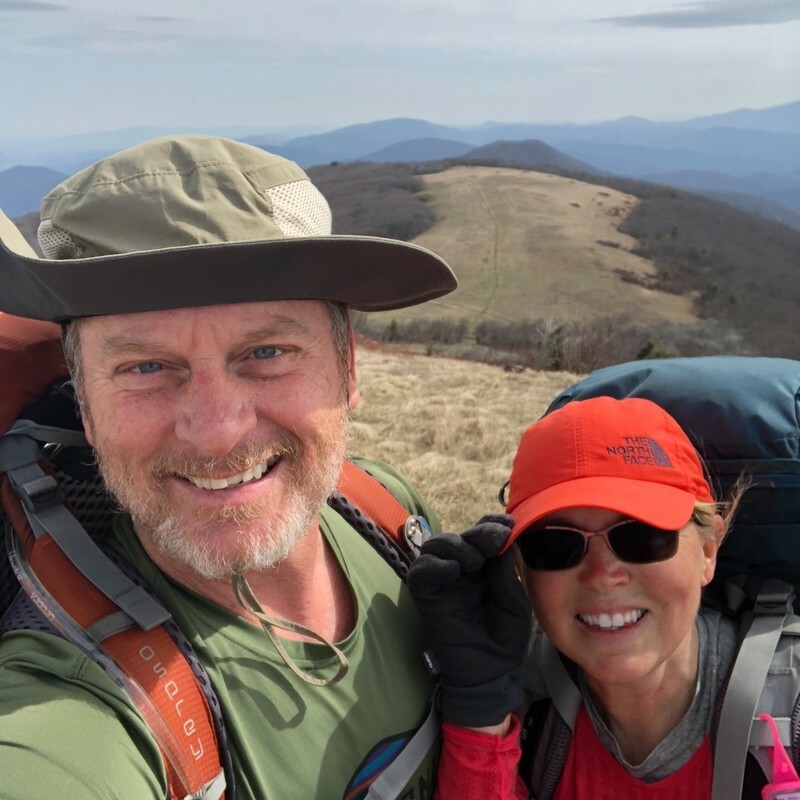 They passed by a few thru-hikers, including a blind man and his wife—together they are the Dynamic Duo—from Ohio. I have tried to find out a little more about the Dynamic Duo but without success (yet). 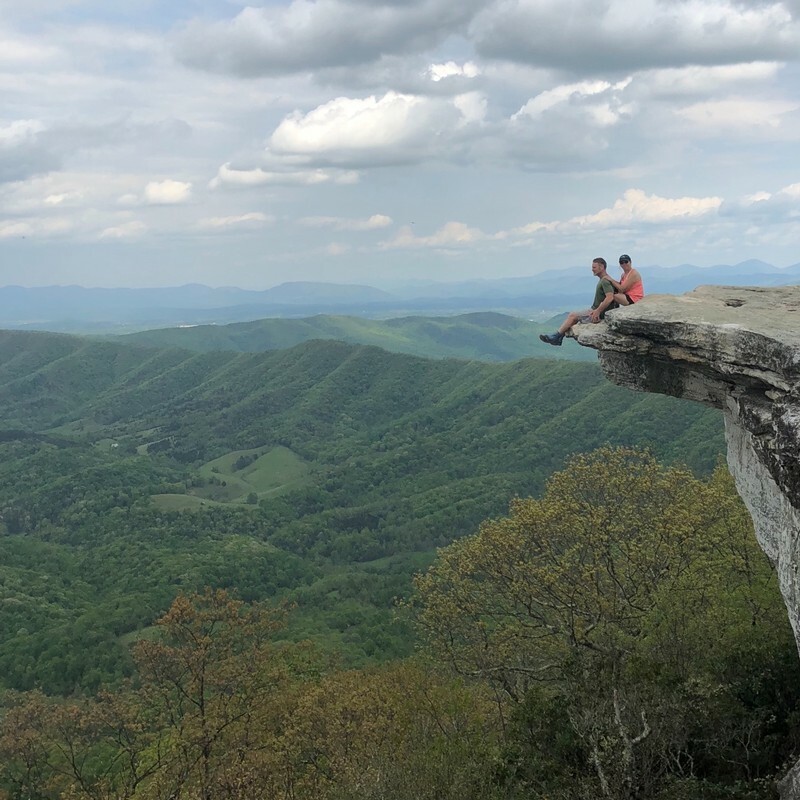 Their second day on the trail ended at Hooch Gap Shelter adding another 7.6 miles on the AT. They woke up to rain, waited until 8:00 to start their trek, and endured the rain until it cleared about 10:00. 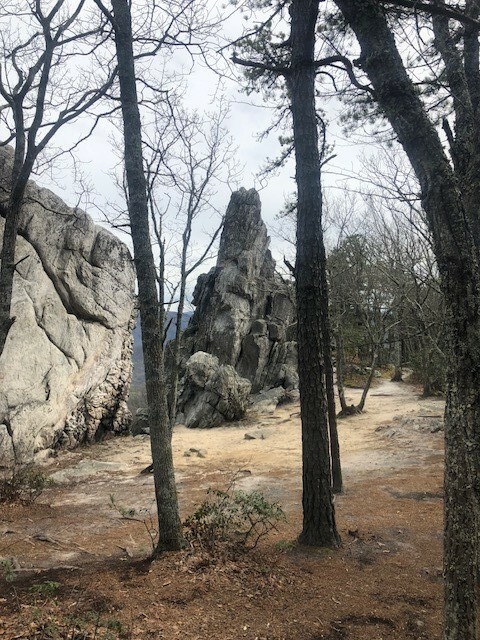 They were almost to the top of Sassafras Mountain when Next Step took a fall, “About that time, as I was working my way over a slab of wet, moss covered rock, my right foot slipped out from under me. I tried to catch myself and my upper leg buckled up under me and I severely torqued my quad…. Of course, Alicia was worried a bone was sticking out. Fortunately, that was not the case. After a few minutes, I was able to get up and limp for a bit and it finally let up enough for me to hike on…. Just wondering what it’s going to be like tomorrow!” I sure pray this fall does not cause this couple from DC any long-term problems. They made it to the shelter around 3:00. They made camp, took some time to hang out with other hikers, and enjoyed some supper. 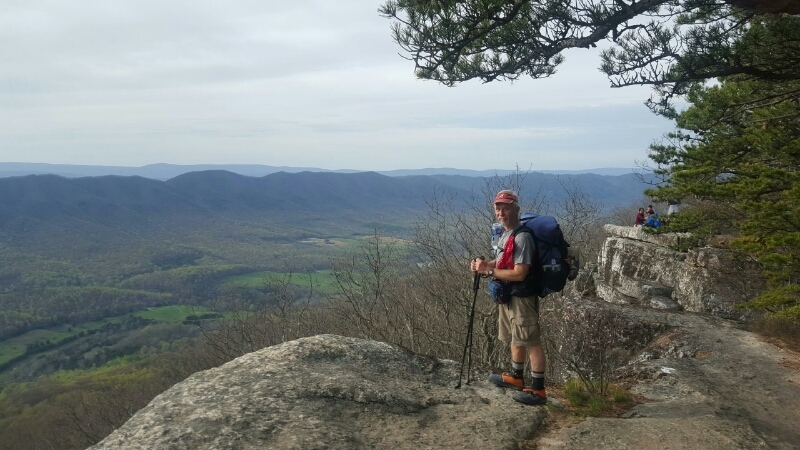 A ridge runner, staying at the shelter, counted 14 thru-hikers with them at Hooch Gap. This is a nice bubble but the different paces of the hikers will soon bring separation to the group.